Shares in SoftBank Group (SFTBY) spiked nearly 18% in Tokyo on Thursday after the company announced it would buy back as much as 600 billion yen ($5.5 billion) of its own shares in the next year. “We like this plan,” Atul Goyal, an analyst at investment bank Jefferies, said in a note to clients Wednesday. “We have long argued that Softbank must take cues from Berkshire Hathaway.” Buffett’s company has a policy to buy back its shares if the price falls below a certain level. The stock surge gives a boost to Son’s strategy in recent years of transforming SoftBank’s profile from a telecommunications operator into the world’s most powerful tech investor. Presenting SoftBank’s earnings on Wednesday, Son complained that his company’s closing share price that day was “too cheap.” He took a different approach from previous presentations, laying out why he believes the collection of tech and telecommunications assets he has assembled should command a higher valuation. “The change in presentation of the results and focus on the sum-of-the-parts has … probably focused investors,” said Dan Baker, an analyst at research firm Morningstar. SoftBank’s nearly $100 billion Vision Fund has become Son’s main focus in recent years, investing in dozens of tech startups and hunting for more targets. 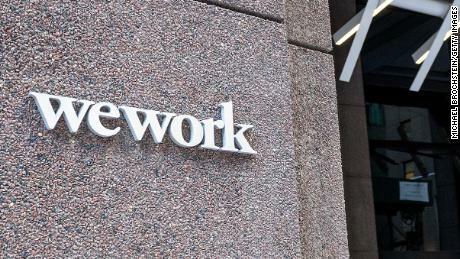 The rising value of its stakes in companies like Uber and WeWork helped boost SoftBank’s profit in the final quarter of 2018, the company said. Son has previously said he wants to be the Buffett of tech, and analysts have drawn comparisons between them. Both men are worth tens of billions of dollars after making some savvy bets and building up their businesses over decades. But Son said Wednesday that while he admires Buffett’s style of investing, his own approach is very different to that of the Oracle of Omaha. There are three types of investors, according to Son: those who are focused on cash flow like Buffett; investors that are actually computers driven by algorithms; and “vision” investors. Son puts himself squarely in the third category. Son believes artificial intelligence will bring about a fundamental shift in society, completely changing how businesses operate and people live. He said his past investments were based on the internet revolution, and now the focus is on companies that will play key roles in the AI revolution. 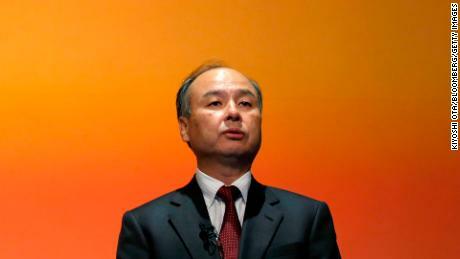 SoftBank is flush with cash after selling a chunk of its Japanese telecommunications business in a $23.5 billion listing in December. Besides buying shares, the company said it would use some of the IPO proceeds to reduce debt and invest in more companies. Son’s smartest moves include buying a big stake in Chinese e-commerce company Alibaba (BABA) 19 years ago when it was still a budding startup. Son said Wednesday that SoftBank’s Alibaba investment is now worth more than $100 billion. He also put $70 million into Yahoo Japan (YAHOF) years ago, a stake that is now worth more than $7 billion. But the Japanese tycoon has also lost big at times. As the dotcom bubble burst around the turn of the millennium, he reportedly lost $70 billion in one day. He said that 99% of his net worth was wiped out in 2000. His expensive gamble on Sprint (S) also failed to work out as he had hoped. Last year, he agreed to give up control of the US wireless carrier, something he had previously resisted, for its merger with T-Mobile (TMUS).